Check out the Outstanding TFI Technology Conference Schedule! The top conference in the country for sharing the latest trends, developments, and opportunities impacting communications and asset valuation in coming up soon! 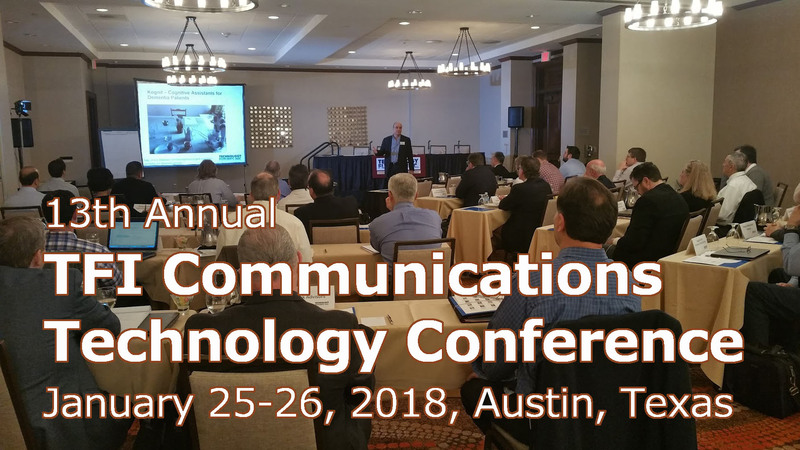 The 14th Annual TFI Communications Technology Conference is Jan. 24-25, 2019 in downtown Austin. Register now! And be sure to book your sleeping rooms while they are still available. 5G Equipment: What on Earth does this Stuff Look Like?